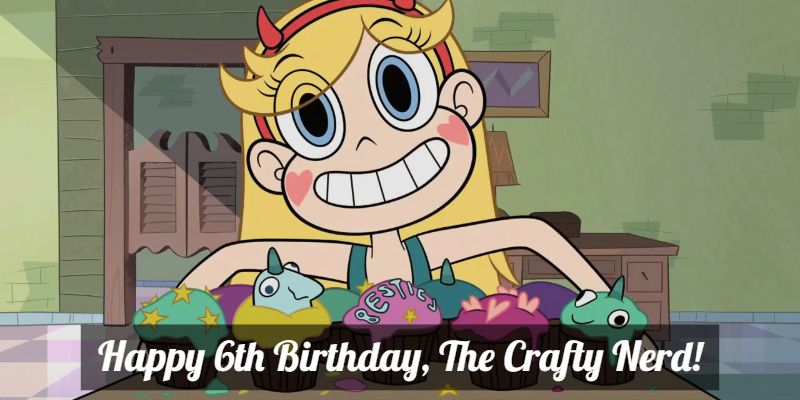 Happy 6th birthday, The Crafty Nerd! Wow, has it really been six whole years since I started the blog? Wow, time sure does fly when you’re blogging. That’s right, six years ago I posted my first post here, and started what would ultimately end up being a pretty big chunk of my life. Heck, if it weren’t for the blog, I probably wouldn’t have met Ross! (And that would be a huge bummer, having a life without Ross.) 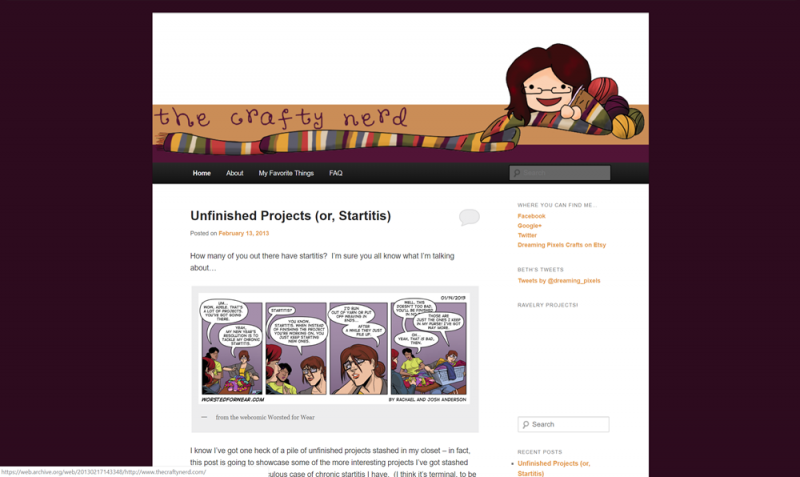 I’ve gone to many conventions, played lots of games, and made a bunch of craft projects, all for my wonderful little blog. Now, typically I write about the stuff I’ve done during the past year on the blog’s birthday, but I recently rambled about all that in my new year’s post – so for this year, I’m going to do something a little different. I’m going to indulge my inner data nerd this year and share some stats about The Crafty Nerd! Crafty Nerd PSA: Chrome crashing? Pop-ups on Firefox? Blame BetterSurf. 10 Free Nerdy Cross Stitch Patterns! I could share more random bits of data about the blog, but I think they might be more interesting for me than for everyone else, heh. Thank you all for reading and commenting on the blog over the years – it makes me a very happy nerd!